Check engine light 25, 26 and 71. I already replaced of new Distribtor system, ECU, MAP, Idle control solenoid, coolant temperature sensor, spark and spark wire, ignition module. Anyway, my car seem no good idle and misfire, but it drive as speed very good after blue smoke gone few second (valve stem leaks bad). So, how do I test the fuel injection, 1 heat oxygen sensor and 2 oxygen sensor? I allways looking for scanner test. 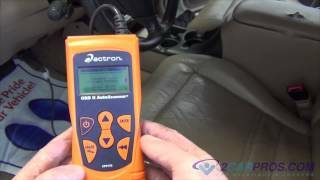 But 1995 Camry had no scanner of OBD2 plug, it a Diagnostic system not easy way to test. It like no reading live Data information, only trouble read code. I hate that, and I can't find clue of engine idle rough still. Code 25 and 26 are rich and lean running conditions. Code 71 is a fault with the EGR system. Try cleaning the EGR system first. Check your fuel pressure first i'm taking it that this is a 2.2L engine your egr is malfunctioning so check for vacuum lines off, etc. Fuel pressure should be 33-38 psi if belwo that, then that can cause your lean condition. You'll have to hook up gauge like shown auto parts stores have them for rent. OK, If I find out the gauge read very low then 33 psi, what should I do next things? And my car year 1995 had OBD 1. 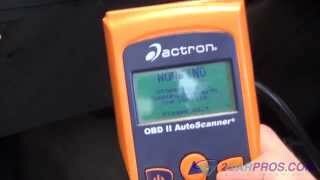 Do you know about the new scanner had both of OBD1/OBD2, is it reading live Data information from black box with car running warm? 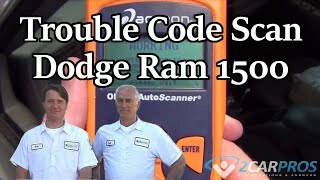 If your scanner will read both obd1 plug it in and see what you get. If you are running 33psi I wold recheck it and replace the fuel filter ans see if that makes a difference. You don't need the car running to get codes just the key turned on. Okay, Hmac300. I really say thank for more help, but not finishing at yet. There no more Check engine light, but engine still bad idle, also run smooth, weird life. Because I pull off EFI fuse to clear off code, snipe. I found out, that I pull off the EGR valve with copper pipe fitting remove, these part clog of EGR's connect lower right side of vacuum hose, it had alot carbon full clog. Wow, I cleaning hose with EGR Male connect tip. I will put back soon. Let see engine run smooth or not. I need help something more, text later. Try to clean as deep as you can and the valve as well. This time, I'm going to clean all the parts of fuel injectors, EGR valve, cleaning whole fuel line delivery pipe and injectors as an assembly. Do you think to replace Fuel Pressure Regulator or cleaning spray carberator can, and air pressure blow. For this engine the fuel pressure regulator seldom fails and nothing much needs be done. Anyway, it look pretty bad shape of Toyota Camry, these very difficult of all connection plug falling parts in whole engine, it like turn hardend plantic plug and seal breaking so easly. Then I replace all new Denso Fuel Injector Connector Blitz Sard Toyota. And I already build the pipe with hose connect of air compressure, 20 psi and Fuel Cleaner Can to test the fuel injection, spray very well and clean good. It nothing wrong with fuel injection and fuel pressure regulater. I will put everthing back of fuel injection soon after order new 4 injection's o-ring seal kits, that really bad hardend o-rings. Maybe that where air leak intake in 4 fuel injection's o-ring leak and hardend. Today, I finish, everything back on the engine to start the car, it seem not going be better, so far the fuel injection o-ring new and tight seal property on fuel assembly. I wonder why, this car not go up higher rpm for cold start engine, 2000 rpm. It still low rpm below 900 rpm idle at cold start and time to drive more then 30 minutes, still low idle same thing very bad misfire. Now, I have no good to get the fuel test gauge not fit of top fuel filter fitting. It not going to do anything to fit the fuel gauge. I am stuck anyway. Please give a change to figure out, what wrong with rpm and idle. I already change new idle control cost over $230.00. Japanese crazy thieve. I hate it. If the IAC is working correctly, the idling speed should increase at cold start. Is the circuit working. Check for trouble codes again and see if there are any that has gone away or any that is new. If you did not erase the codes previously, do so and retest till new codes comes back. Okay, I already clear out the codes from removed EFI fuse last night till morning. I check the Line from ECU terminal's wire of green/red line and green/yellow line to end of connection plug (Idle Control's plug terminal). And one Black/orange line had power 12 voltage. All wire just fine. I start the engine to drive on the road, more then 15 minutes. No new codes at yet and still bad idle stall many time after stop the traffic light, still very low idle rough. But it drive or race very good. It so wierd. Then I test scan on engine light, these light was said, Flashing, flashing, and over again flash light. My god, I already change ECU from Advance Auto Parts last second time few mouth ago. What the "Flashing mean, it bad ECU?" Check the above link for how to retriee the trouble codes and understand what they says. Bte if you have not cheecked the valve clearances, give it a try to see if they are within specs. Okay, I have a book owner's manual of import vehicle code reader, same you gave us the information code. It say, Flashing one per 1/2 second, it mean that normal. I surprised about the ECU code read work fine and normal. So, the engine Idle still misfire or rough. That reason, Camry stalled sometime stall again after stop traffic light. But it drive or race still good, so weird again. Anyway. I will check the compressor gauge and fuel pressure test too. Did you replace the IAC only or completed throttle body? If only IAC, did you clean the throttle body? Did you adjust the idle speed? At operating temperature, what is the idling speed? Have you checked the valve clearances? All right, I got read 41 ips fuel pressure gauge at engine off with jumper at B+ and FP test, Key on. And then remove jumper from B+ and FP test, remove the vacuum hose to the fuel regulator and plug end hose. Measure gauge read say, 39 ips at engine idle. And test again for reconnect hose back to fuel regulator, measure read 38 ips at engine idle. So, I think of fuel regulator come out not match in my book (Chilton's Manul Book). I all ready got new idle control and cleaning Fuel Injection done. Was complete throttle body replace with IAC or only the IAC was replaced? Are there any trouble codes now? The fuel pressure is higher than specifications by 1 psi when idling with vacuum. This migh cause a rich running condition and can result in engine stalling. I replaced new IAC from Advange Auto Parts and cleaning the throttle body with air blow and gas cleaner spray can. There no any new codes for engine running alot of hours so far. Do you think Fuel regulator bad? That I got my chilton book for test, it surpose be measure the fuel pressure at idle on 31-37 psi. I have read fuel pressure gauge say, over 38-39 psi. It too high, right. I try out the engine kick higher 2000 rpm, it reading the gauge say very low then 35 as possible, then I let the engine back to idle go up to read gauge say again over 38-39 psi. This book say, it must be idle for 31-37 psi. Okay, then I check each compressure gauge test read, 180 psi (1), 180 psi (2), 179 psi (3), 181 psi (4) cylinder. It hold pressure more then 5 min. All stay up very good cylinder. I Have A 1995 Camry With 2.2l Federal Emissions Engine. I Have An Engine Light Flash Code 24. My Engine Will Not Idle, As Well. Any Tips? Como Puedo Checar El Check Engine Light En Mi Carro Sin Escaner, Mi Carro Es De 1995.